While not my usual type of stops, I think a mention of this bronze statue built in Italy to a man that changed the lives of many is worth a mention. 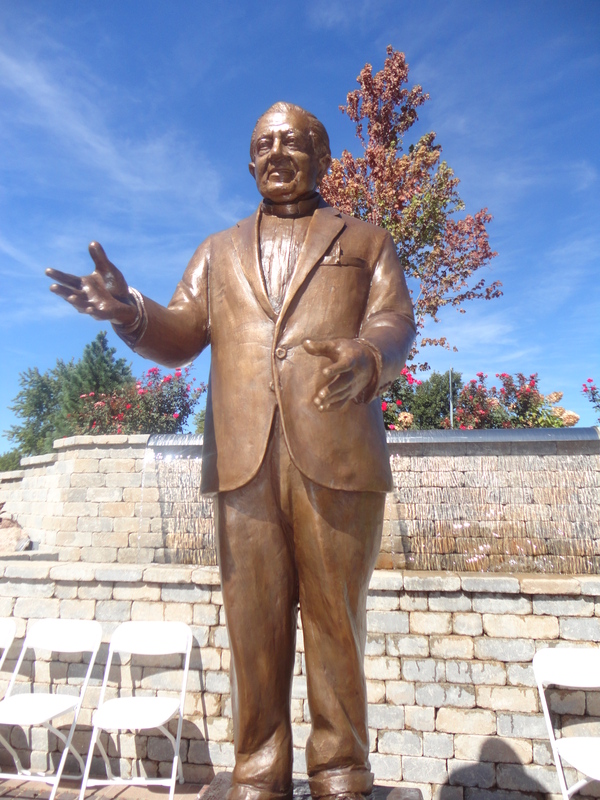 This past weekend, September 14th at the Villa’s Senior Care facility in Sherman, Illinois, a ceremony was held to dedicate this statue to the life and works of Father Peter Mascari. Born in 1920 in Chicago, Father Mascari was drafted for a baseball team and played in their farm team until a knee injury. He met the love of his life at church praying for a Christian woman that loved the Lord like he did. Violet Mirabella was praying the same thing. The couple wed in 1944. The marriage only lasted three short years after she passed away from a major coronary. After her death, Peter Mascari became a priest and dedicated his days and nights to following God’s plan. After serving other parishes, he ended up in Sherman, Illinois and concern for his parishioners in the twilight of their years led to his development of the Villa Apartments, then onto a continuum of care that led to assisted living then onto round the clock care. This was only one of the Father’s contributions. His life is an amazing story and a stop by the Villas to check out this beautiful statue is worth a minute of your time in the Sherman, Illinois area. I have written a much longer article that will be in the next edition of Senior News and Times about this man and his mission. Check it out this coming November! Previous Post: Johnny Prolvolone’s Pizza – Yum!